Party People enjoys creating custom decor with School Colors and Letters to make the perfect centerpieces for your Awards Banquets! 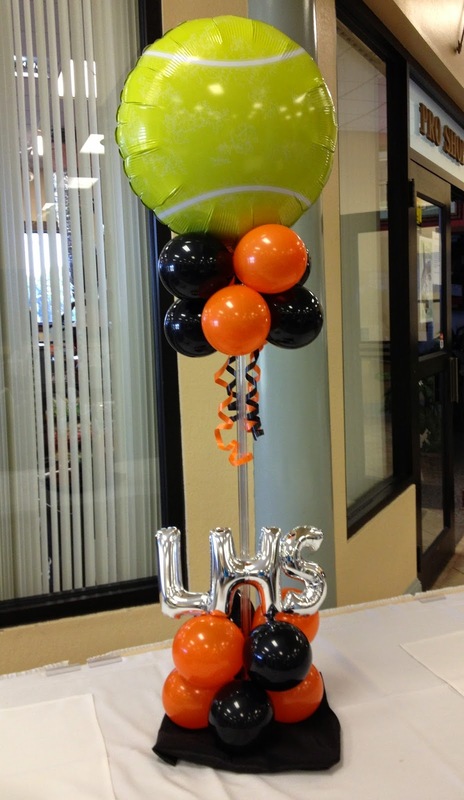 2 Level Tall centerpieces on Acrylic stand with 7 inch Letters and 18 inch foil balloon on top can be personalized for any occasion. 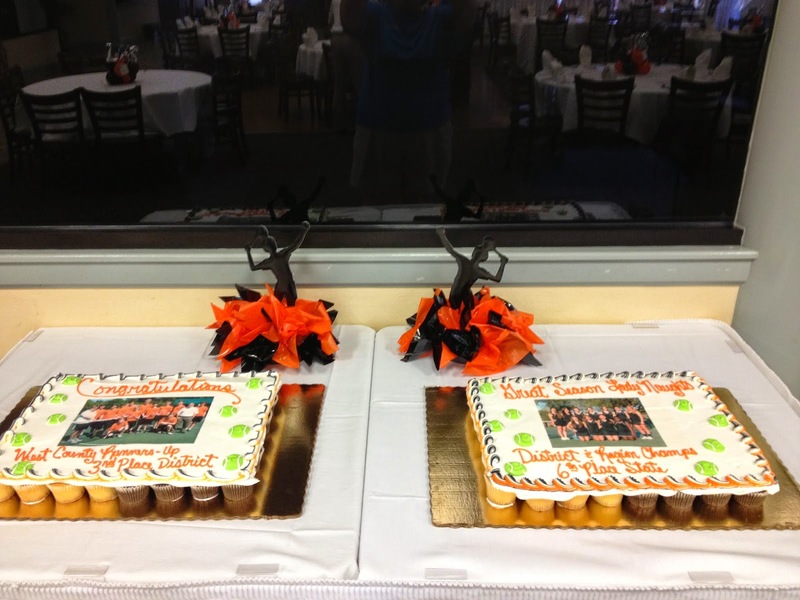 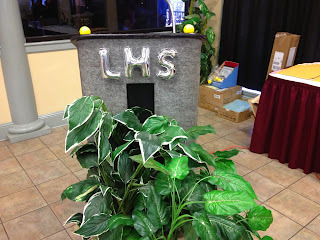 Table top Centerpieces with LHS are perfect to show off school spirit! 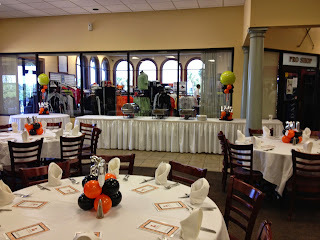 Tennis Player foam cut outs are fun centerpieces for the cake table. 7 inch foil letters personalize the Podium. To create custom decor for your Awards Event call Party People at 1-800-752-3650 ext 2.